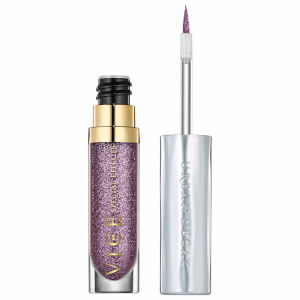 Enhance your pout with Urban Decay's Vice Liquid Lipstick; a waterproof, long-wearing formula that combines the ease of a gloss with the rich colour pay-off of a lipstick. Featuring a cushioned, flat-edged wand applicator, the shimmering lip colour glides on effortlessly and delivers complete coverage in one simple stroke. 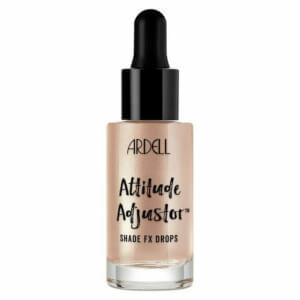 Lips are smooth and sumptuous with high-pigmented, non-drying colour. 'Shadowheart': A metallic brown with gold shimmer. Strek først opp leppene med den presise applikatoren, og påfør et lag. Ikke press leppene sammen. Hvis du er fornøyd med dekningen, la dem tørke. Man trenger ofte bare en liten mengde, men påfør et ekstra lag hvis du ønsker mer dekning. La dem tørke helt.